The last two stamps of this set represent Liujia Branch Line (NT$12) and Pingxi Branch Line (NT$15). 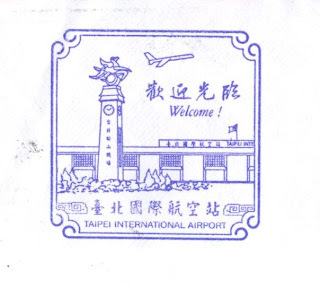 For further information on these stamps and these railway branch lines, click here. 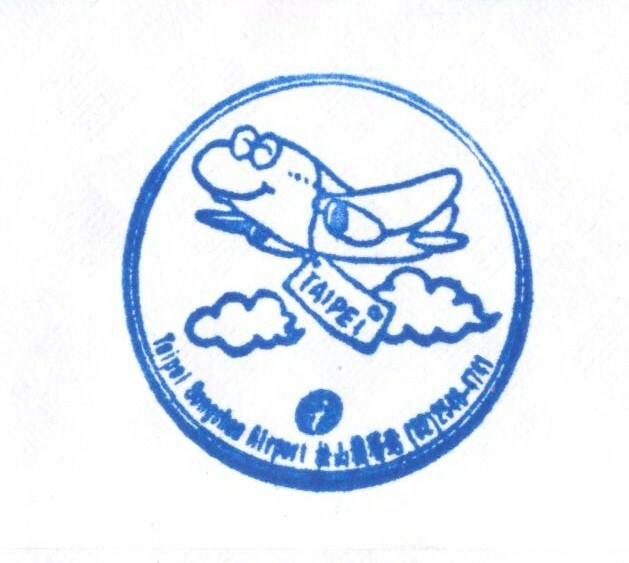 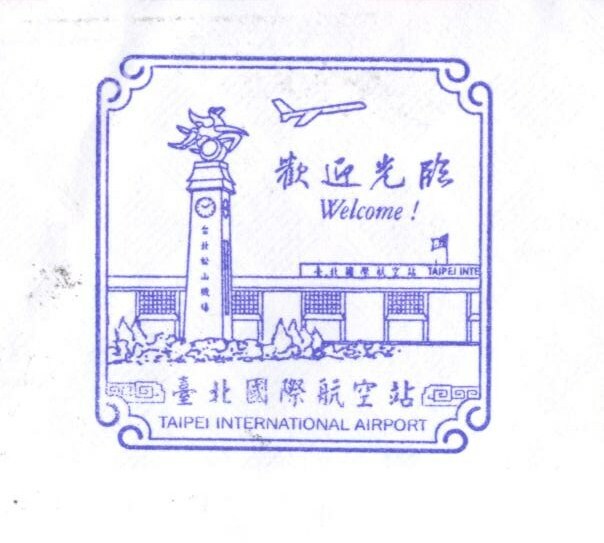 Nice rubber stamps were also applied on the verso of this cover at Taipei Songshan Airport (臺北松山機場), officially known as Taipei International Airport.